I worked on her more after this shot. Burnishing and carving on things. Had to go find more little polished stones to use. 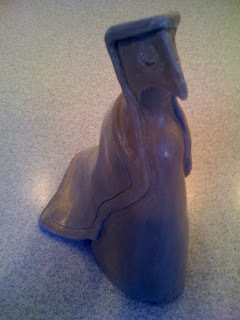 There are more shots of her in my clay sculpture set.